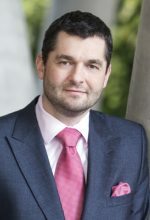 XPRIMM: What are your comments on the evolution of the Czech insurance market in the current year? 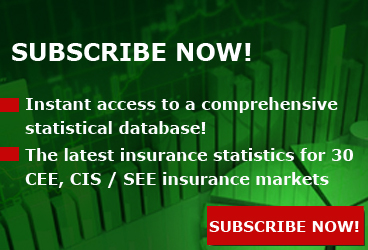 Martin Divis: This year, the Czech insurance market has been highly influenced by new legislation. It is not easy to cope with all the changes. For example, the new Insurance Distribution Act has changed the rules for treatment of customers, new information disclosure obligations have been introduced, distribution channels and the requirements for their expertise have been changed. It is a challenge, but also a chance to improve what works and to change what does not work well so that our obligations and requirements favour the customers, make insurance products more accessible, and we can improve the understandability of every deal. This way, every customer is provided high-quality and appropriate insurance protection even if it means that we will not close the deal. I would rather explain to the customer that our product is not suitable than sell him something that he does not need. We are doing our best so that the Act will fulfil its target and help provide higher quality of insurance sales. However, high legislation and administrative requirements are also connected with GDPR, Solvency II, AML, MiFid or PRIIPs. We would need several interviews to explain all these abbreviations. Better customer protection is a priority for me, but I suppose that overregulation by the EU in any field, even though well-meant, can bring about just the opposite. It creates a stressful environment which drains resources and hinders creativity and innovation. XPRIMM: At market level, what are your expectations for the year's end and next year? M.D. : I will answer in terms of various lines of business. In life insurance, the greatest trend for the coming year will be the increasing share of risk products. We systematically teach insurance consultants to explain and offer to customers, in particular, the insurance needed for serious situations, such as serious illness, disability, the breadwinner's death in a family, or the permanent consequences of an accident. It is important to select the appropriate risks and to set a sufficient sum insured - a family should not take out a mortgage for two million, but be insured for only 500,000 CZK. It will not save any money, it will just run a big and unnecessary risk. We have been quite successful in this field this year. Property insurance is very stable, the property insurance market has increased slightly this year and based on the economic boom, it will probably continue to increase also in 2019. However, the biggest problem of the market is motor insurance. Due to fierce competition, premiums have not been sufficient to cover damages and other costs (commissions, operations, etc.) and health claims in particular have been increasing for several years. M.D. : I am very pleased that we met our business targets as well as other performance indicators. It clearly shows that we are going in the right direction. Our key task has been the preparation of the merger with our sister company Pojist'ovna Ceske sporitelny (PCS) this year. At the end of October, this process was approved by the Czech National Bank. So both insurers will start the year 2019 under the common name, Kooperativa. Among other things, we will become the leader of the Czech insurance market. We can offer to PCS customers a broader product portfolio, management of all policies under one roof, three-hundred branches all over the Czech Republic and, last but not least, the possibility of purchasing the products of Kooperativa's strategic partner - the Financial Group of Ceska sporitelna. M.D. : We cannot leave out new trends and technologies, such as use of mobile apps, the Internet, the reduction of bureaucracy, the paperless office, changes in customer behaviour, looking for the most suitable ways to communicate with various customers, and the use of data. The use of data is a very interesting phenomenon which will undoubtedly shape the insurance business. In simple terms: the more data on health, behaviour or driving of insured persons we have, the better and more fairly we can set the conditions for individual customers. This way is demanding, but it is the right one. 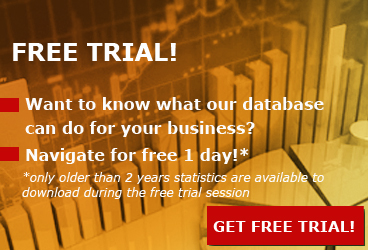 It is the way to have the most precise risk assessment and the most perfect risk management. As for corporate social responsibility, we want to focus on road safety. Therefore, we work together very closely with a lot of organisations and experts in this field. As recently as this year, we organised some events in the realm of accident protection, for the elderly in particular. We aim to prepare programmes for the most vulnerable road user groups, i.e. besides the elderly and young, also, for example, bikers or children. These topics will be covered by the "Platform Vision Zero" an expert platform. A lot of partners who would like to improve road safety will participate. If we succeed in preventing some unnecessary accidents, we will be satisfied. A big challenge is, of course, the reduction of the number of road deaths in the Czech Republic. We will consider every saved life to be a success. XPRIMM: Motor insurance represents a significant share in the Czech insurance market and your company plays a leading role in this segment too. From this perspective, how would you comment on the motor insurance evolution this year? M.D. : As I mentioned previously, insufficient premiums in motor insurance are a problem for all insurers. However, we expect that the motor insurance market will increase by 3.4% compared to last year. This is an improvement compared to the stagnation and slight decrease in average premiums in previous years. In the private car insurance market, which is a key segment, premiums for new insurance policies have increased by 5.3%. The highest increase was seen in customers who had previous claims. In my opinion, this is the only right way. As for claims development, claims have been continually rising in property insurance. From 2011 to 2014, the average increase was 3.3% per year. Since 2015, however, it has been as much as 7.2% per year. 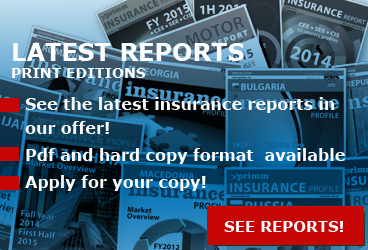 The average claim currently exceeds CZK 42,000. This increase is mainly due to increasing labour costs at repair shops and rising spare parts prices, as well as more expensive repairs for cars with increasingly sophisticated and expensive systems. Costs for bodily injuries are also increasing, for example, because of higher prices for medical treatment. This year, we saw a rise of 6.9% in compensation for bodily injuries compared to last year because of the increase in average wages, which are directly related to the main types of claims for bodily injuries. 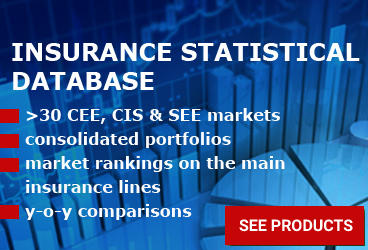 XPRIMM: The Czech market is one of the CEE markets with the highest coverage degree in home insurance. What are the main reasons behind this performance? How strong of an impact did recent severe weather events have on the insurance market? M.D. : The development of private property insurance is very stable. It is also based on an increase in mortgage numbers, low unemployment, and economic boom. However, based on our experience and figures, this is not the result of major natural disasters. After floods or storms, people become somewhat more interested in taking out insurance, but it does not correspond to the significance and impact of the natural disaster. A bigger problem is the insufficient insurance penetration per customer in the field of general liability of private persons. This is an old problem that does not yet have a solution on the market. People are less interested in this type of insurance than we expected. XPRIMM: Your company has won recently several awards demonstrating its very good reputation among customers and business partners. What are, in your opinion, the main ingredients of this success? M.D. : We are very pleased about this success and greatly appreciate that we and our products are favoured by Czech customers and experts alike. The success in competitions and surveys such as Zlata koruna (Gold Crown) and Pojist'ovna roku (Insurer of the Year) confirms Kooperativa's strong market position. These results are clear evidence to me that we are going in the right direction with our product range and that our insurance is attractive both to the public and experts. I would like to thank all my colleagues for that - they do their job very well. However, the insurance business is specific - an insurance product is only a promise to solve an unpleasant situation. I would like to point out that collecting prizes for insurance products is pleasing, but it is only a promise that we did not live up to if the claims adjustment is not quick and precise. You learn how good an insurance company is only when something happens and how quickly and well it settles the claim. XPRIMM: According to a press statement of Ms. STADLER, Prague will be the site of a digital hub to be established under the partnership agreement between VIG and ERSTE Group. Will your company have a role to play in this new undertaking? M.D. : I will be very happy if Kooperativa plays a key role in new technologies, both on our market and within the VIG. I think we have much to offer. Not only online sales and telemarketing but also "Kooportal" internet insurance banking (complete online management of policies and claims), "Koop Asist" mobile app, paperless policies signed with digital signatures, and other innovations such as taking out insurance without a signature via a mobile point of sale. We know very well that new technologies and digitalization is emerging in all sectors, including insurance. Discussions with our colleagues at other insurance companies and in the Czech Insurance Association show that we are aware of and do not underestimate these trends and are trying to make the best of them in order to provide better and quicker services to customers and to save time as well as costs. For us, innovation is not a problem, it is an opportunity. We want the insurance sector to not only react to change but also be its major driver, to think in new ways and set an example, whether that's via the internet of things, social networks, mobile technologies, telematics, big data, or shared ownership.